The quest for Well Being begins by discovering your personal rhythm. 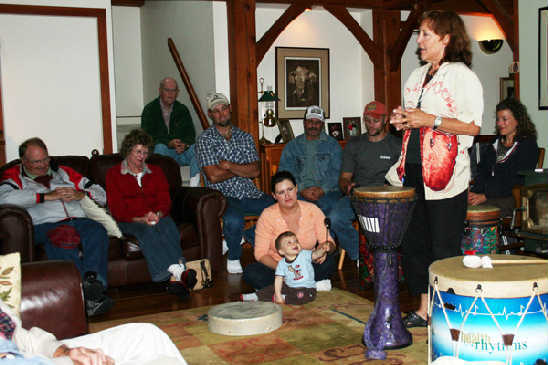 Drum circles offer a setting in which there is a level playing field for everybody. 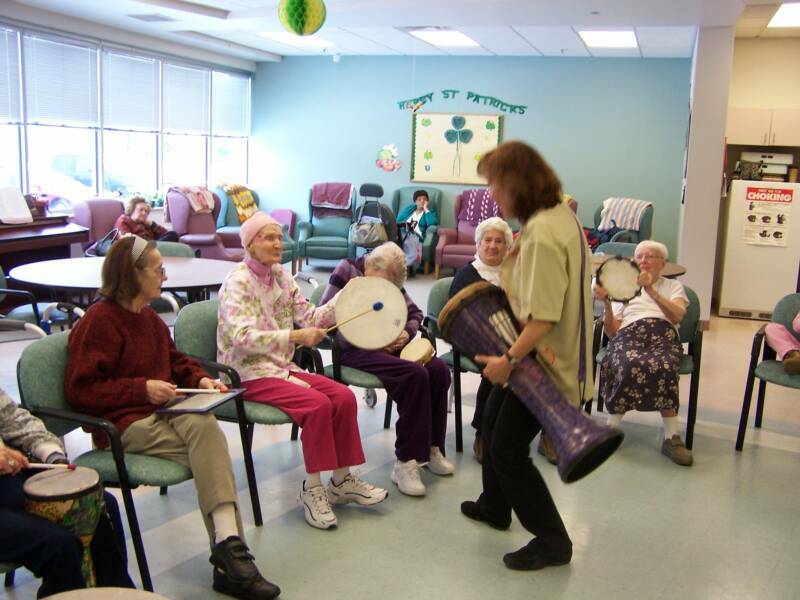 Group drumming is; empowerment, enjoyment, opportunity, exercise, rhythm, mastery, enlivening, nurturing and transcendence. 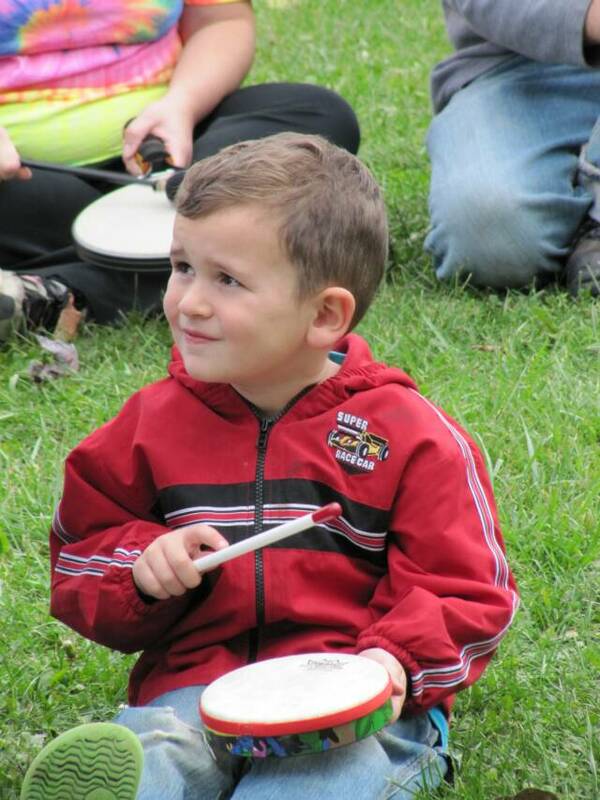 Drum circles build community, self-esteem, creativity and a sense of well-being. 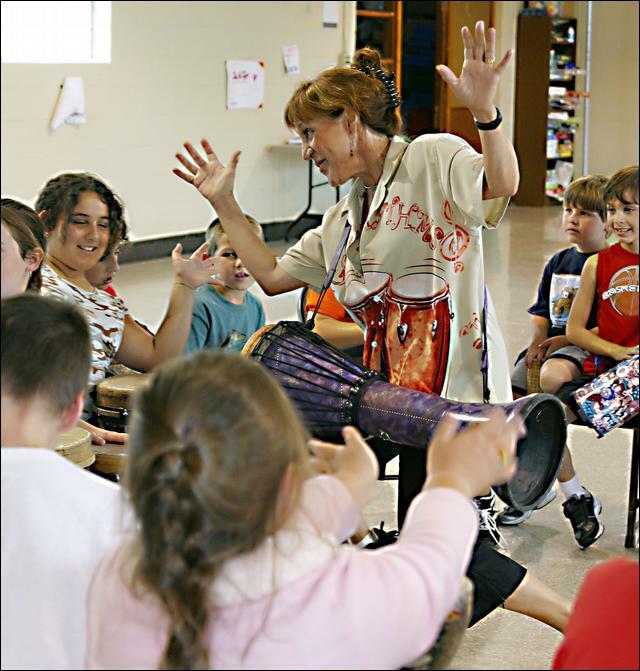 When our hands connect with a drum we express energy, vitality and emotion. As we extend ourselves to one another, we share our gift. Exceptional becomes achievable! 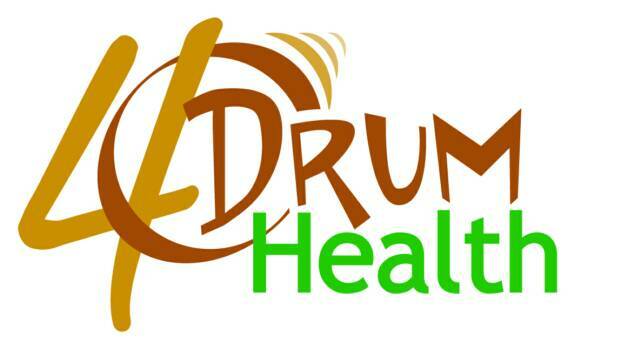 Drumming connects the rhythm of our own heartbeat to the rhythm and heartbeat of the earth. 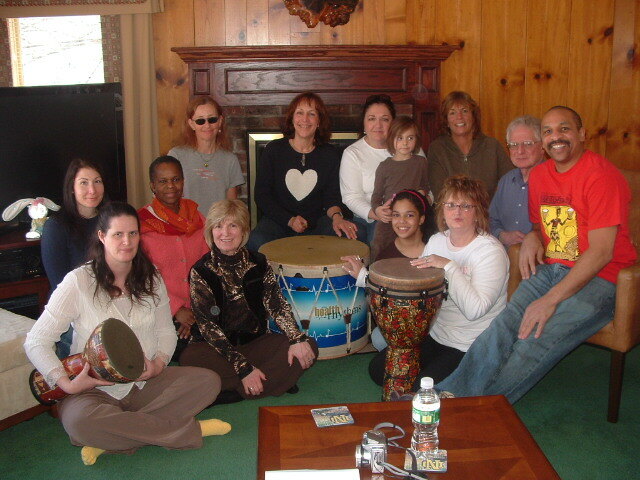 When our hands connect with a drum that vibrates with our energy, vitality, emotion, exhilaration, hope, sensitivity, giving, sharing and unity, we become whole again. 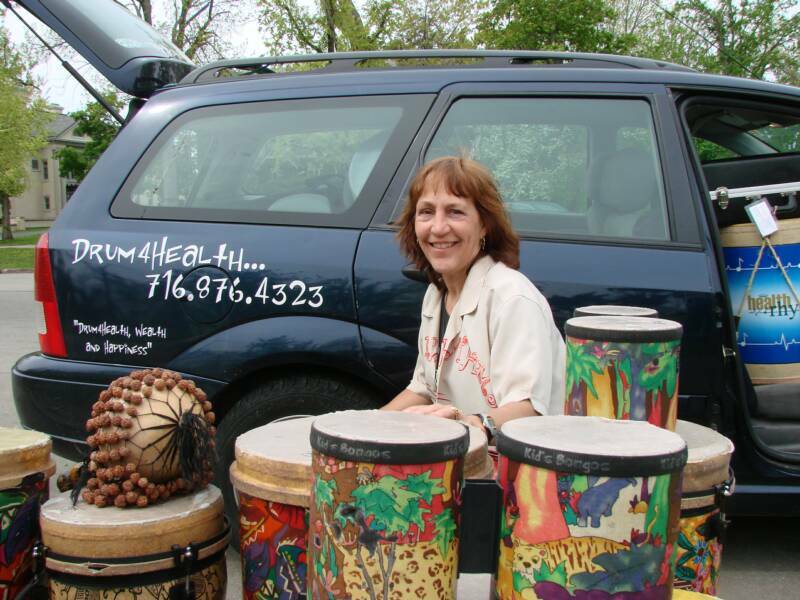 We provide the drums and facilitation, your group provides the music! 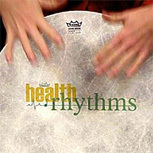 The Health RHYTHMS protocol for recreational music making is the basis for all Drum4Health drum circles and presentations. 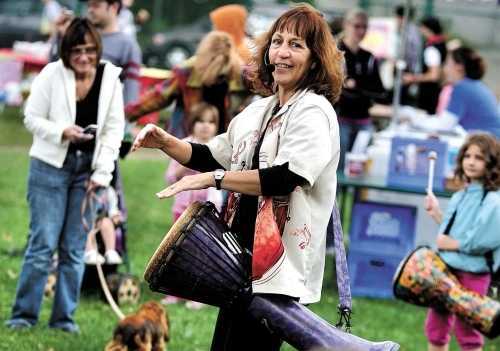 Drum circles can be scheduled in Buffalo and beyond. 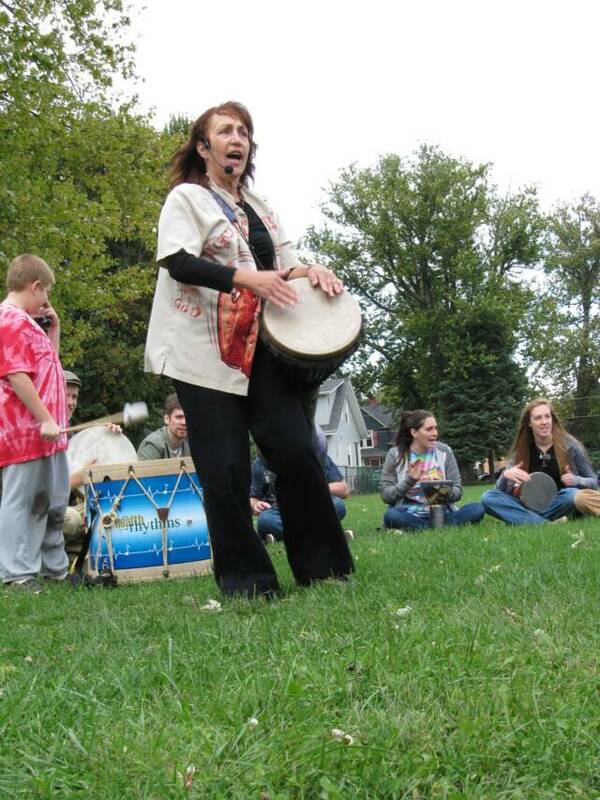 Drum Circles, Western New York and beyond.